Empresas is a business development program that teaches and supports small business owners to create a vibrant local economy and open up opportunities for all individuals to pursue their dreams. Through training, networking experience, technical assistance, and access to capital, Empresas helps Latino entrepreneurs launch successful and sustainable small businesses. Empresas teaches entrepreneurs through a ten-week business development course, taught in Spanish, that covers the foundations of business plan creation and business administration, from registering a company to setting up a marketing and operations system. The current course runs once in the Spring and once in the Fall. Empresas program participants can receive continued support by paying a small annual fee to become program members. Members receive one-on-one business coaching every Friday at BestHq, and extended educational opportunities through the Empresas Workshops. Program members also receive marketing support, networking support, the ability to rent commercial kitchen space, and market access opportunities through our business directory and the Forest Grove Farmers Market. Recognizing that many small businesses struggle to obtain financing, Empresas also offers a suite of alternative capital products, including Individual Development Accounts (IDAs) and KIVA ZIP crowd-funded loans. The Empresas Workshops offered to our program members occur once a month at BestHq. Workshop presenters are typically successful business owners, representatives of private or nonprofit organizations, business attorneys, marketers, business accountants, or other industry experts. The workshops educate small business owners on a variety of subjects that may affect their business as it grows. Topics include business licensing and permits, minority business designation, marketing, customer service, financial planning, employment law, and cash flow. Asset investment has been found to help individuals become self-sufficient and break out of cyclical poverty. Select Adelante Mujeres participants receive asset building assistance through an Individual Development Account (IDA), a $3:$1 matched savings program allowing savers to receive up to $9000 in matching funds. Participants can save for small business start-up or expansion, post-secondary education or job training. In addition to the matching funds available through the IDA, individuals receive financial literacy training to improve their overall financial health and security. Adelante Mujeres is able to offer these IDAs thanks to the Valley Individual Development Account (VIDA) program managed by CASA of Oregon. 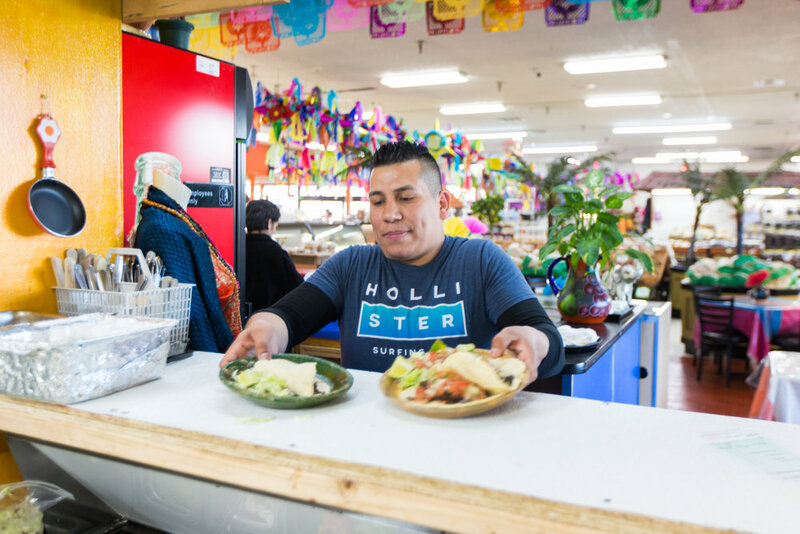 The Empresas Program, in partnership with the Forest Grove Senior and Community Center, manages the Empresas Commercial Kitchen, which gives small local food businesses access to certified kitchen space. The Empresas Commercial Kitchen is a great opportunity for Latino entrepreneurs to create their authentic products and recipes in a state and health certified kitchen. Access to kitchen space helps these entrepreneurs formalize and grow their business and create more product. 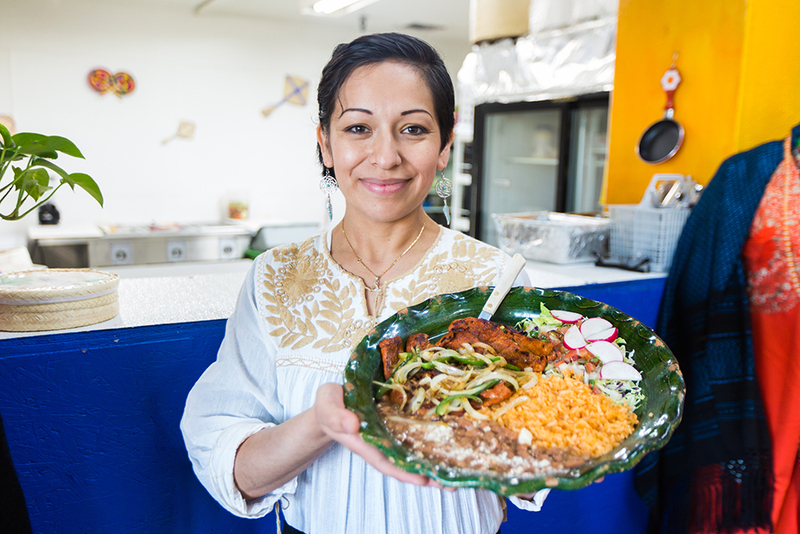 Our Food-Based Business Incubator Program offers low-income Latino micro-business entrepreneurs financial-technical training and use of the kitchen to launch their food-based businesses. Empresas will be launching this program in 2019 when the construction of our commercial kitchen is completed. This program is made possible by the U.S. Department of Health and Human Services which awarded us $450,000 under their Community Economic Development Program (CED). Cocinemos, a partnership with the City of Hillsboro, is a 10-week course offered to aspiring entrepreneurs in Hillsboro. This course helps local Latino entrepreneurs overcome linguistic, financial, and cultural barriers to successfully start and grow food-based businesses in Hillsboro. Cocinemos also offers participants one-on-one coaching, as well as access to the commercial kitchen at the Hillsboro Community Senior Center to develop their recipes and prepare foods for sale. I want to support Empresas!